iPhone and iPod touch software, games, toys, calculators and web applications by Kudit: Simon says subscribe! Tonight, Kudit was happy to add yet another game to our growing collection. 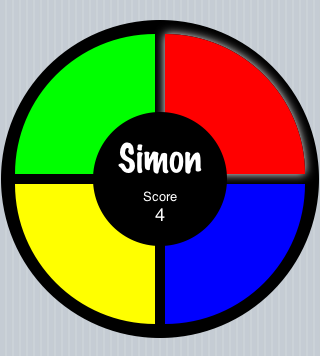 Our Simon game is a game of memory and concentration. Press the buttons in the correct order and see how many lights you can remember! Try to keep up with the color pattern sequence for as many levels as you can.